Wookie Cookies! Obi Won Tons! 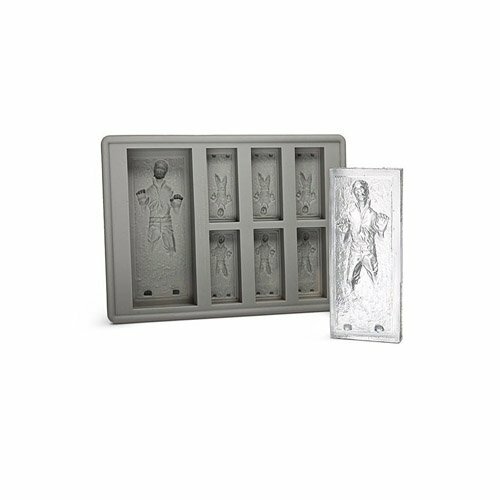 Jedi Juice Bars! 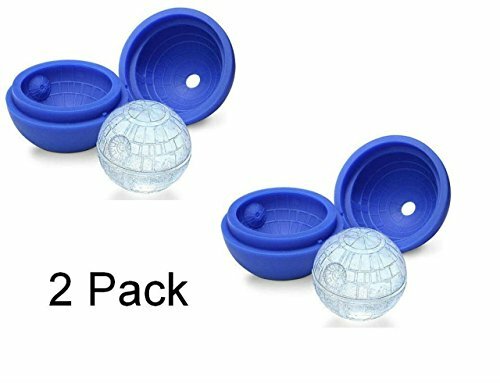 You can get these and MORE of these Galactic Treats and Star Wars food ideas from Star Wars Cookbooks. I was the chef for our Star Wars Parties (don’t giggle…. if you squint, in dim light, I look somewhat similar to Princess Leia…well… we are both girls) I also cooked foods for our Gaming nights. 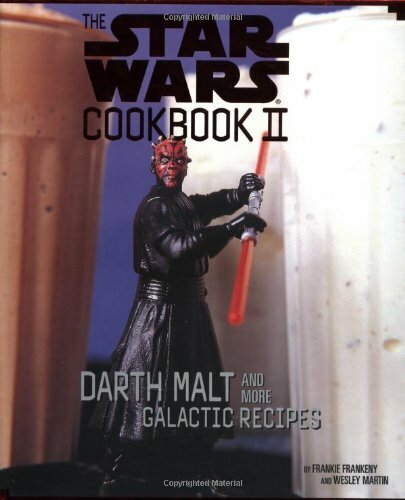 In these Star Wars Cook Books, you will find the perfect foods for your next Star Wars Marathon…. there are more than enough recipes to get you through all 6 movies. (Remember… all night movie marathons build up an appetite). The foods aren’t complicated, and they are certainly better tasting than the stuff next to the check stand at the local 7/11. 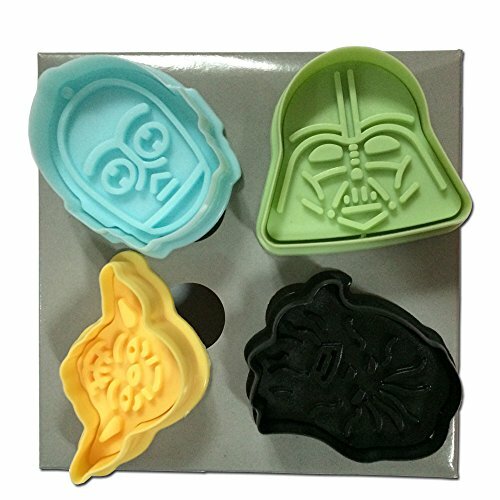 Grab your light saber and head to the kitchen! Find this Cinnamon Roll recipe in Wookiee Pies, Clone Scones, and Other Galactic Goodies (Star Wars Cookbook)… wear them on the sides of your head… or have them for breakfast . 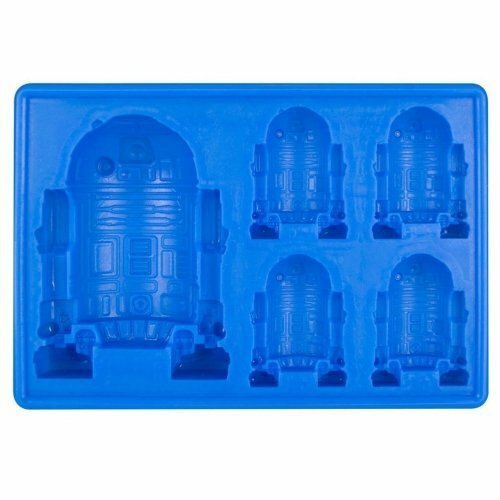 Other Fun ways to Create Star Wars Treats in your Kitchen! 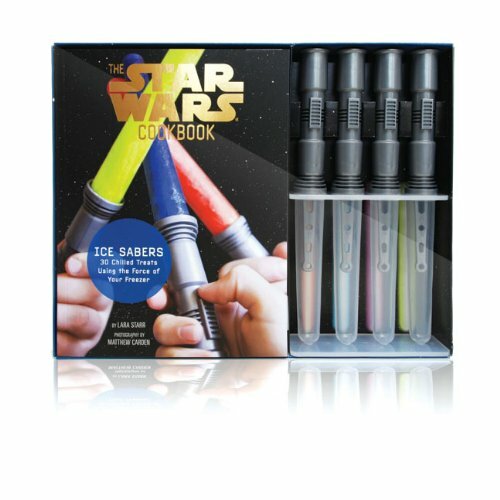 With 29 fun Star Wars Recipe in a Spiral Bound book with plastic coated pages, you will find the perfect Recipes for your Star Wars Party. There are 5 sections to this book… snacks, breakfasts, dinners, desserts and drinks. Granted, it is written for younger readers, age 8 and up… but this just makes it easy for anyone who is more comfortable naming the moons of Tatooine, than dealing with a kitchen. 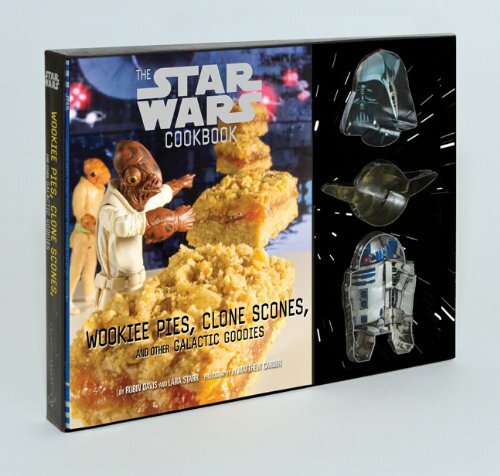 This Spiral Bound Star Wars Cookbook contains 29 Recipes. Since the pages are plastic coated, you don’t have to worry about wrecking the book with splatters. The Cook Book was written for third graders (so… 8 year olds) and up, with lots of tips and helps… so even if you’ve never even boiled water, you will be able to make Jabba Jiggle like a pro. Well… how can you argue with the BEST? 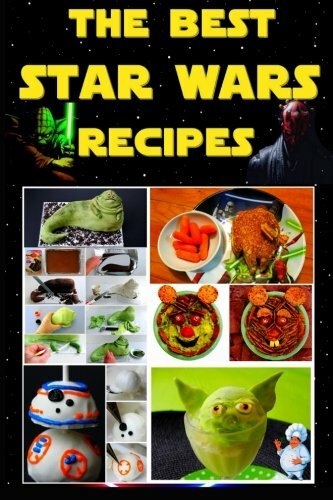 This up to date cookbook includes BB8 recipes…perfect for when the Force Awakens comes out on DVD (in April). This is another short book… only 38 pages… but it is available on Kindle, so you can download it RIGHT NOW! 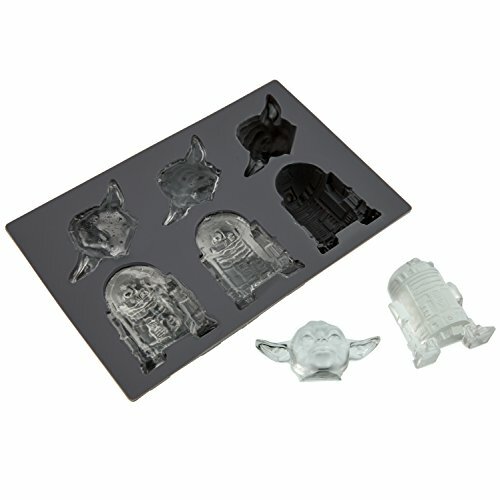 This fun Star Wars Cookbook comes with 3 cookie cutters… R2D2, Yoda and Darth Vader. 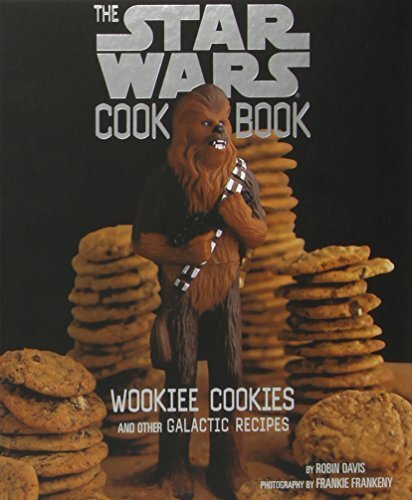 There are 30 Recipes for treats and desserts like Chocolate Chewies… It’s a cute and fun book for all Star Wars Fans. Baking, Freezing, Jelling, and Pancaking…. 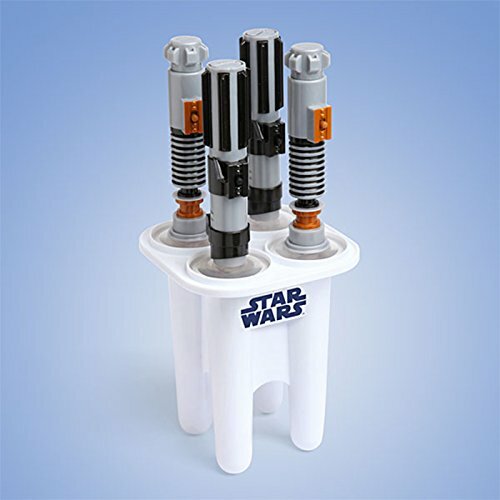 you can bring the Force to life in your home, and then eat it! 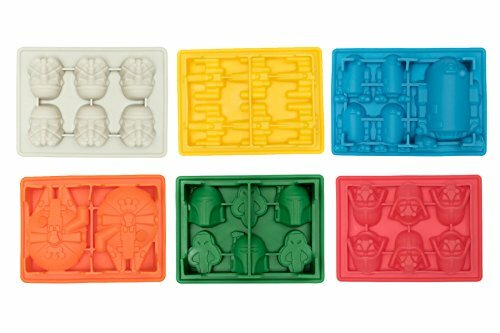 This set comes with Freezer Pop Molds, which alone makes it a worthy purchase… but also included are 30 recipes for fabulous frozen treats that you can easily recreate at home. 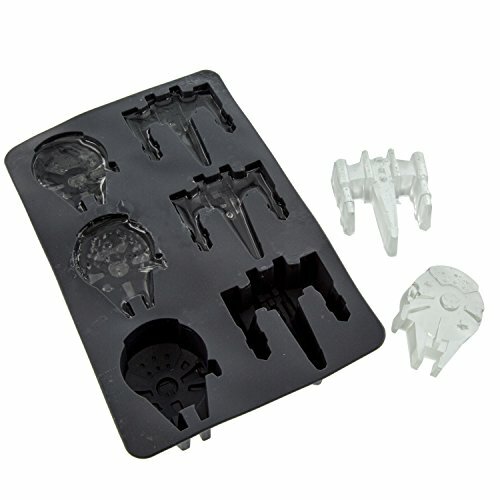 Ice Clones anyone? 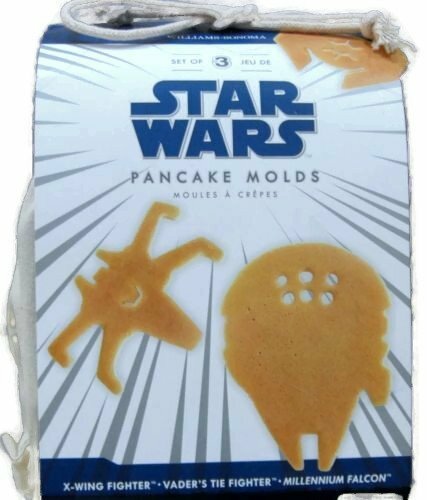 And sure, round pancakes are standard… and you can pretend it’s the Deathstar…. 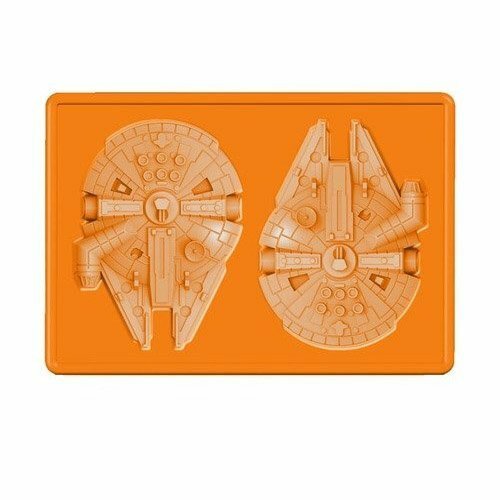 but I’d rather eat an X Wing fighter, or better yet, the Millennium Falcon. 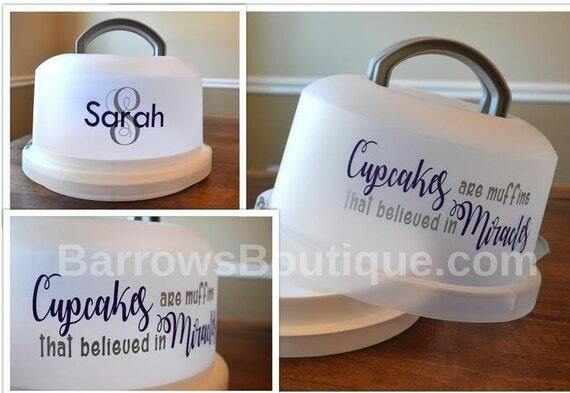 Perfect for drinks and jiggly treats!